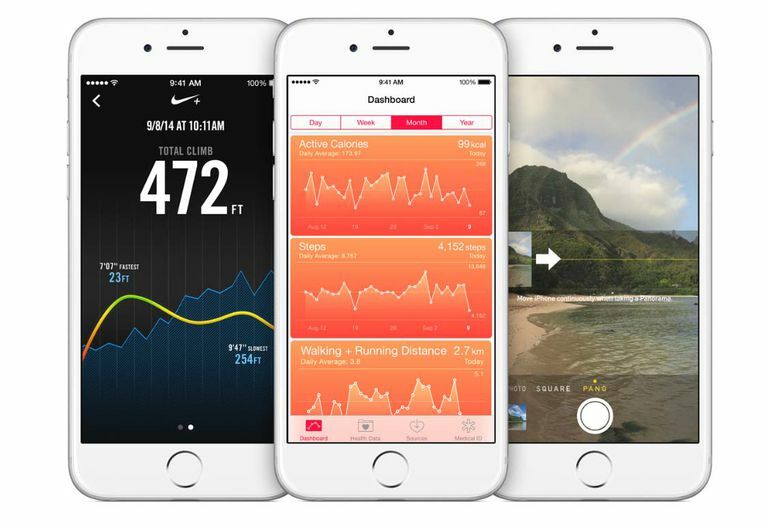 Your iPhone includes a GPS chip just like the one found in stand-alone GPS devices. The iPhone uses the GPS chip in conjunction with cell phone towers and Wi-Fi networks—in a process termed "assisted GPS"—to quickly calculate the phone's position. You don't need to set up the GPS chip, but you can turn it off or enable its functions on the iPhone. GPS is short for the Global Positioning System, which is a system of satellites put into orbit and maintained by the U.S. Department of Defense. GPS finds a position through trilateration that uses at least 3 of a possible 31 satellite signals. Other countries are developing their own systems, but the U.S. GPS system is the only one in wide use around the world. The only other system that is close in capability is Russia's GLONASS satellite system. The iPhone is capable of accessing both the GPS and the GLONASS systems. One weakness of GPS is that its signal has trouble penetrating buildings, deep woods, and canyons—including urban skyscraper canyons—which is where cell towers and Wi-Fi signals give the iPhone an advantage over stand-alone GPS units. Although an active GPS connection is vital for apps that offer navigation and mapping features, there are privacy concerns related to its use. For this reason, the iPhone contains several areas where you can control how and if the GPS capability is used on the phone. You can turn off all location technology on the iPhone, which Apple does not recommend, by going to Settings > Privacy and toggling off Location Services. You can take a more specific approach by limiting access to GPS information for particular apps. Take a look at the long list of apps on the Location Services screen below Share My Location. You can set when an app is allowed to access GPS information to Never, While Using, or Always. You can find out how each app interacts with GPS (where applicable) and other important functions on your phone by tapping the Settings icon and scrolling down to the app list. You may toggle on or off various settings, depending on the app, including Location, Notifications, Use Cellular Data, and access to your Calendar or Contacts. The iPhone has several complementary technologies onboard that work in conjunction with the GPS chip to master the phone's location. Accelerometer and gyroscope: The iPhone has an amazingly small six-axis gyroscope and accelerometer combination chip onboard. The gyroscope tracks the orientation of your phone at all times, such as whether it is being held upright or on its side. The accelerometer detects and records motions the phone experiences, big and small, as data the phone and apps can use. Wi-Fi tracking: When GPS doesn't work well, such as inside buildings or among tall buildings, Wi-Fi tracking can replace or supplement it. Wi-Fi tracking uses a database of Wi-Fi networks around the world to triangulate the phone's position based on multiple Wi-Fi signals. Compass: Your iPhone has a digital compass as part of its motion-tracking chip. The compass is used to supplement other motion technologies and to orient maps you use on the phone. Barometer: You might think of a barometer, which measures air pressure, as primarily a weather-prediction device, but it's not used for that purpose on an iPhone. The barometer supplements the GPS chip for measuring elevation changes to create more accurate elevation and elevation-change readings. M10 Motion Coprocessor: The iPhone uses Apple's own motion coprocessor chip to continuously measure data from the accelerometer, compass, gyroscope, and barometer. ​This effectively offloads work from the main processing chip for improved power efficiency.